No Commercial vehicles will be allowed onto the Park, or Recreational Vehicles. (Now due to customer request we are now strictly enforcing it) this includes sign written cars and non-sign written commercial vehicles. Anyone trying to enter the Park will be asked to leave and no refunds of any monies paid will be returned. Visitors during the day £3 per car, honesty box on gate or pay on arrival. Dogs are welcome but must be kept on a lead at all times. £20.00 pupn incl EHU toilets & Showers. Includes 2 adults and 2 children, 1 car. Additional children and adults are £2 per head. Extra vehicle per day: £2.00. Special offer stay Seven days for only £130.00 Offer does not apply during Bank Holidays. Have you got a Bus pass!!!. 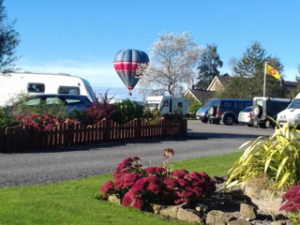 Arrive on a Monday and stay for a minimum of 3 nights and the price per night is £15.00 ( M, T, W, TH) Two adults only .All occupants must be over 65. Offer does not apply during Bank Holidays. Please note all offers must be mentioned at the time of booking. Subject to availability. Only one offer can be used per booking. Please check with site for further details. Parking for one car. 10 amp Electric hook-up. Up to 2 dogs maximum-free of charge. Full use of toilet and shower block. 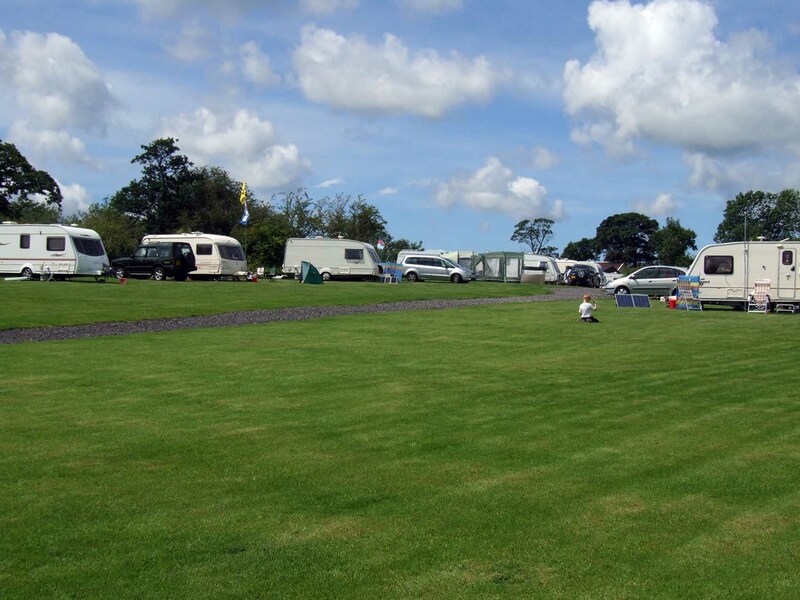 Many of our pitches are wide enough to place your caravan and awning on the hard standing so please bring rock pegs. If you intend to erect an awning for more than a weekend please mention this at time of booking so that we can accommodate your awning on hard standing and minimise the damage to the grass. Bank Holiday weekend prices £25.00 are a minimum of 3 nights with a deposit payable on booking. COST (PER NIGHT) Pitch price according to tent size and then additional charge based on number of people as detailed below. * Please state on booking any extra’s you will require throughout your stay. •Bank Holidays: Minimum stay: 3 nights inclusive. Friday – Monday. •Breathable groundsheets: Only for a maximum of 7 days. Longer stays may involve moving pitch. •Arrival: After 1pm (unless early arrival is available and pre-booked). •Departure: Before 12 noon (unless late stay is available and pre-booked). •Advance booking: is essential for all bank Holidays, Summer Holidays, Weekends. Tariff for Rallies: Stewards please contact proprietors.